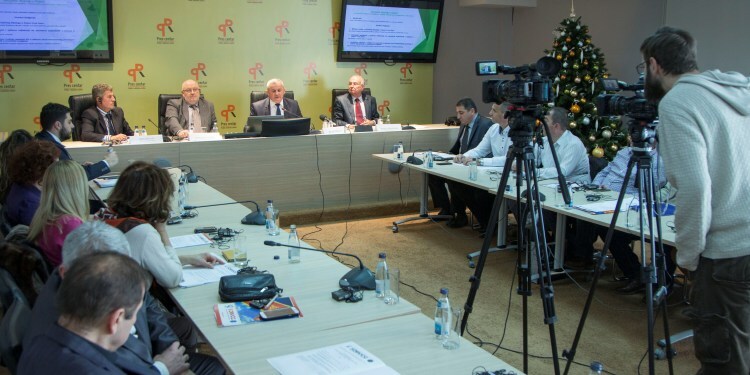 EUROMIL was informed on several occasions in the past year by its Montenegrin member association SOVCG about different problems regarding social dialogue and a worsened relationship between the Minister of Defence and SOVCG. On 17 January 2018, EUROMIL’s President Emmanuel Jacob met with the Secretary of State of the Ministry of Defence, Mr. Slobodan Filipović and the Director of Human Resources to discuss the improvement of the social dialogue between the Montenegrin armed forces and the Ministry of Defence. This exchange of information showed clearly the seriousness of the troubled relation between both partners. On 18 January, EUROMIL, its Montenegrin member SOVCG and the Montenegrin umbrella organisation UFTUM (the Union of Free Trade Unions of Montenegro) organised a round table in Podgorica on social dialogue in the armed forces, focusing on the implementation of European values. The goal of the round table was not to look back on what has happened in the past period, but to discuss experiences and best practices with the aim to reinstall a better relationship and returning to a social dialogue under good conditions. Based on the discussions at the round table some conclusions have been drafted. EUROMIL and UFTUM will continue to support SOVCG with a focus on the future with a real social dialogue between equal and respected partners.